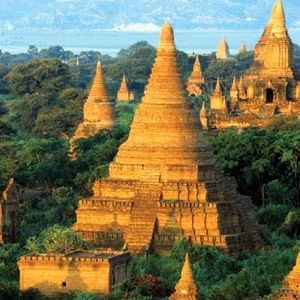 Crystal Cruises invites you to travel through 35 countries and 80 ports on their 2021 World Cruise. 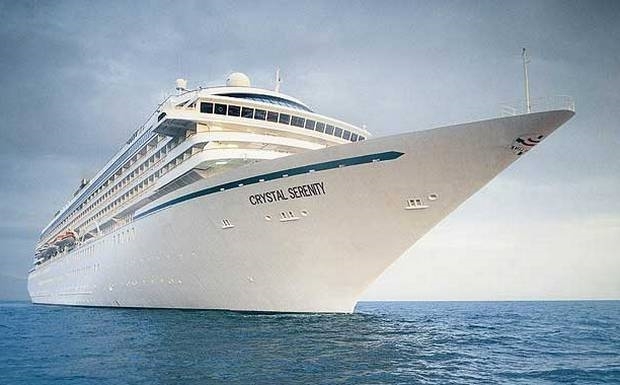 Beginning in Miami or Los Angeles, and ending in your choice of Rome or London, step aboard the spacious and elegant Crystal Serenity and allow their pampering crew to take care of your every wish and whim. A welcome celebration reception and gala dinner, along with an exclusive shoreside World Cruise event, plus exclusive themed onboard events, combine to make this an extraordinary travel experience. With 21 overnight stays in iconic ports around the globe, you’ll have more time to explore world-class destinations such as Brisbane, Hong Kong, Tokyo, Dubai, and Luxor (Safaga). Glittering cities, historic architecture, magnificent cathedrals, and remote beach towns, along with the friendly faces of people you meet along the way, combine to make this a journey you’ll never forget. Full World Cruise on Jan 21, 2021 from Los Angeles to London or Rome also available, ask us for rates. 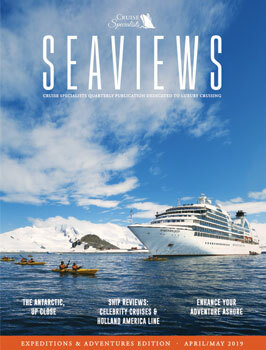 Fares as low as $46,199 and World Cruise Benefits, Shipboard Credit and More! World Cruise Benefits, Shipboard Credit and More! Fares shown are per person based on double occupancy in the minimum deluxe stateroom categories, cruise only, in US dollars and reflect 2-for-1 Cruise fare plus Book Now Savings for new bookings. Many other categories available, please ask for rates. Cruise-Only Fares are per person in U.S. dollars, double occupancy and do not include taxes, fees and port charges of $7,525 per person. 2-for-1 Cruise Fares are per person based on 50% of brochure fares. Optional Personal Select Air Program is available to purchase for full-fare, full-cruise guests whose travel originates from a U.S. or Canadian airport, and include all government fees and taxes. $5,000 ($2,500 per guest) As You Wish shipboard credits per stateroom/suite are for the first two guests sailing on Full World Cruise voyage only. Restrictions apply. *Excess Luggage Reimbursement for Full World Cruise guests only: In order to request reimbursement for excess baggage fees, guests are asked to save all receipts issued by the airline at the ticket counter at the time of check-in and submit them to our Guest Relations Department at the end of the voyage. This service is at the guests’ expense; however, Luggage Concierge charges are eligible for the $500 per person baggage reimbursement in lieu of excess baggage fees. Private car transfers apply to Full World Cruise guests only and is offered from airport to ship and ship to airport before and after their cruise. Guests will receive up to a total of two private car transfers. Restrictions apply. Services are non-transferable. There are no credits given for forfeited services. Note: private vehicle (car/minivan) will be arranged according to the number of pieces of luggage. Optional Personal Select Air program is available for purchase from Crystal Cruises' designated gateway cities/airports in the U.S. and Canada, and include all government fees and taxes. Note: Early Full Payment savings does not apply to Personal Select Air. Call Crystal Cruises’ Air Services Department for details. Solo Traveler Fares - please call for details. Crystal Cruises offers each guest the opportunity to dine at least once on a complimentary basis in Prego and at least once in Silk Road or the Sushi Bar (Sushi Bar is not available for pre-reservation via PCPC and is available on a first come first serve basis). Full World Cruise guests can request additional complimentary reservations including "walk-in" visits, subject to availability. Free Wi-fi/Internet access: Deluxe Stateroom (from category E2 - P1) and Penthouse with Verandah (PH) guests will receive 60 minutes per person, per day; Penthouse Suite with Verandah (PS) guests will receive 90 minutes per person, per day; Crystal Penthouse (CP) guests will receive unlimited free Wi-fi/internet for the duration of their cruise. Restrictions apply. All offers may not be combinable with other promotions, apply to first two full-fare guests in stateroom or suite, are capacity-controlled, subject to availability, and may be withdrawn or changed at any time without notice. Cruise Specialists exclusive amenities apply to full World Cruise guests, are capacity controlled and subject to change or cancellation. $1,500 Shipboard credit per stateroom is based on double occupancy and is $750 per person. We reserve the right to correct errors.